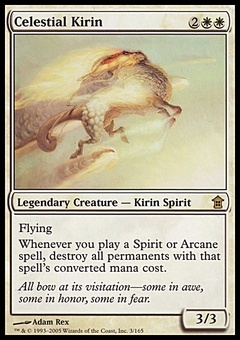 Nissa Revane ($6.49) Price History from major stores - Zendikar - MTGPrice.com Values for Ebay, Amazon and hobby stores! 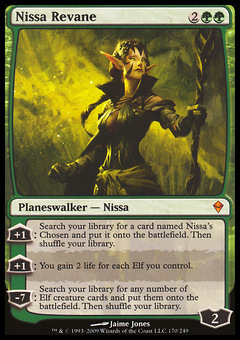 Card Text: +1: Search your library for a card named Nissa's Chosen and put it onto the battlefield. Then shuffle your library. 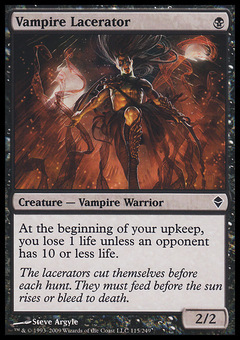 +1: You gain 2 life for each Elf you control. -7: Search your library for any number of Elf creature cards and put them onto the battlefield. Then shuffle your library.